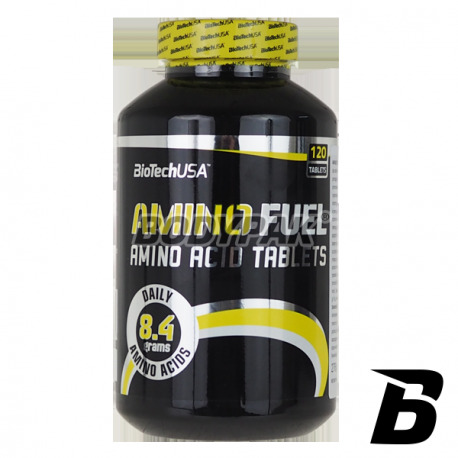 Amino AcidsBioTech Amino Fuel - 120 tabl. BioTech Amino Fuel - 120 tabl. It is a product created based on the purest amino acids. If you are looking amino-day, that will improve your recovery - you should choose this product. This is not another "just any supplement," you will not find better. Pharmaceutical quality. BioTech Amino Fuel - 350 tabl. Amino Fuel is engineered to contain all essential amino acids (EAAs), conditionally essential amino acids (CAAs) and non-essential amino acids (UAAs) as well as an extra dose of branched chain amino acids (BCAAs): leucine, isoleucine, and valine. 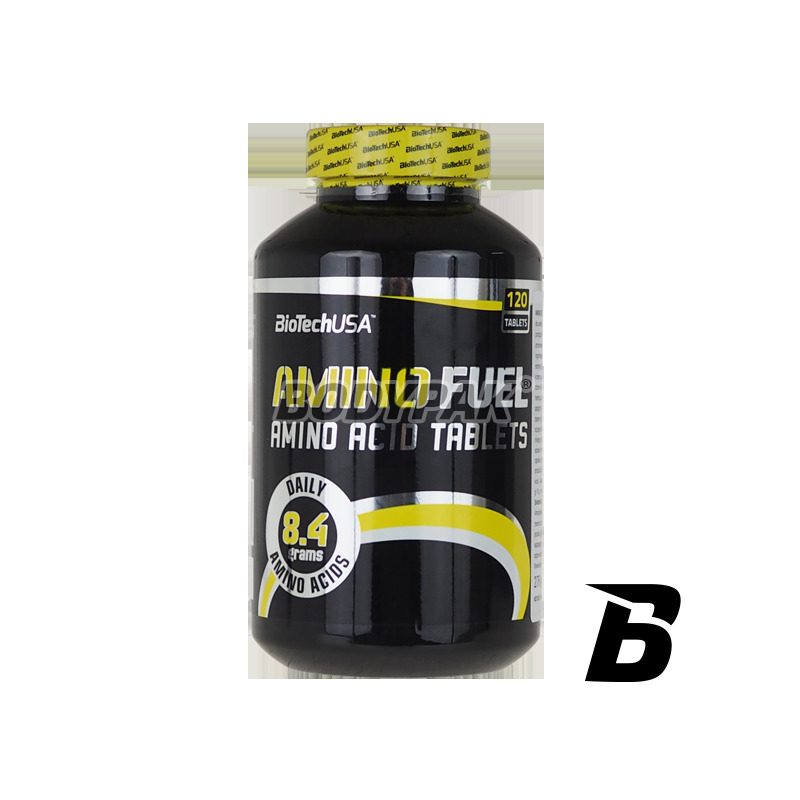 Like all BioTech USA products, Amino Fuel consists of 100% safe and carefully selected ingredients. Specifically developed for advanced athletes and bodybuilders, a daily serving of Amino Fuel contains 9200 mg of amino acids to support lean muscle growth and post-workout muscle regeneration. For best results use one serving (4 tablets) 15 minutes before and one serving (4 tablets) immediately after training. On non-workout days use one serving in the morning and one serving in the evening. Serving Size: 2 x 4 pills. Ingredients: Amino Acid Complex ( hydrolysed whey proteins isolate sodium caseinate, GL max hydrolyzate PS isolate), maltodextrin, anti-caking agent (E551, E553b, E470b), the substances of the tablet coating (maltodextrin, E464, E1200, E553b, medium chain triglycerides, coloring E100). Co można napisać o takim produkcie dobre źródło, solidna koncentracja aminek w porcji.. reszta to indywidualne działanie. Te aminokwasy świetnie uzupełniają każdy mój posiłek, w którym brakuje pełnowartościowego źródła białka. Zawsze mam przy sobie kilka tabletek!